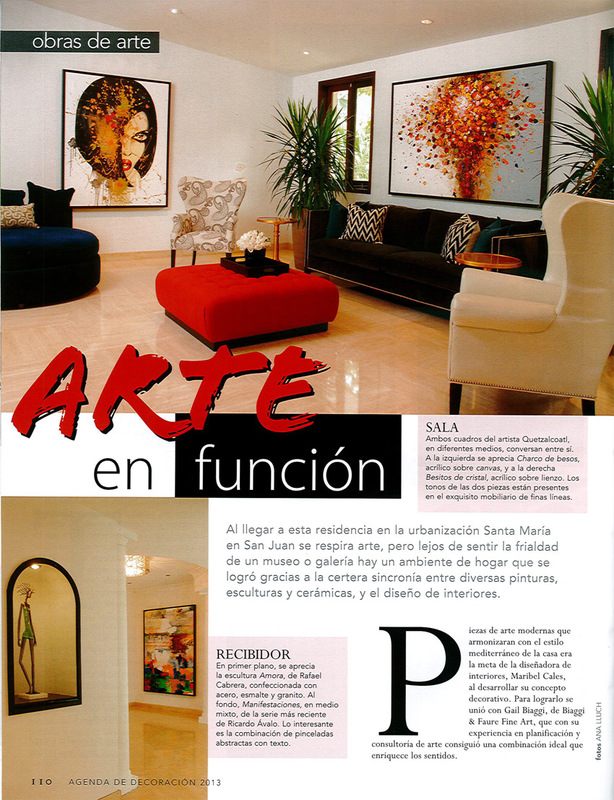 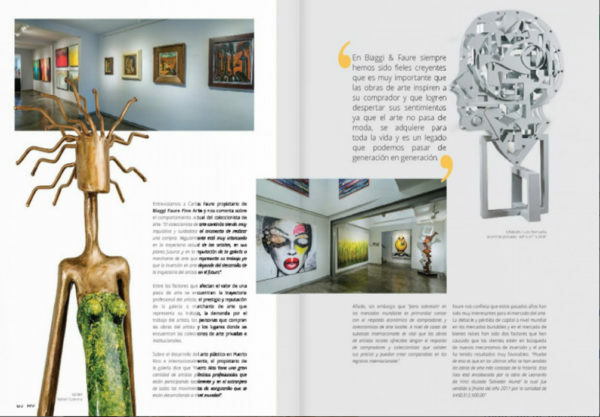 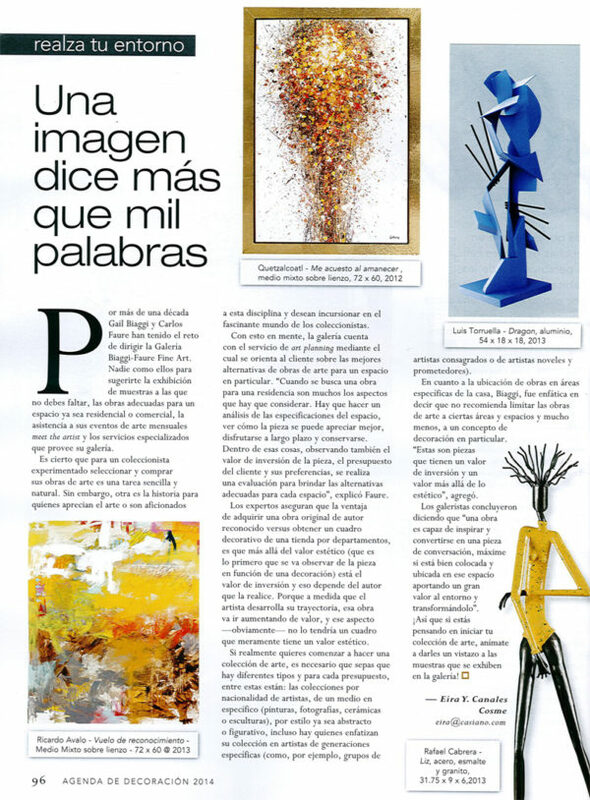 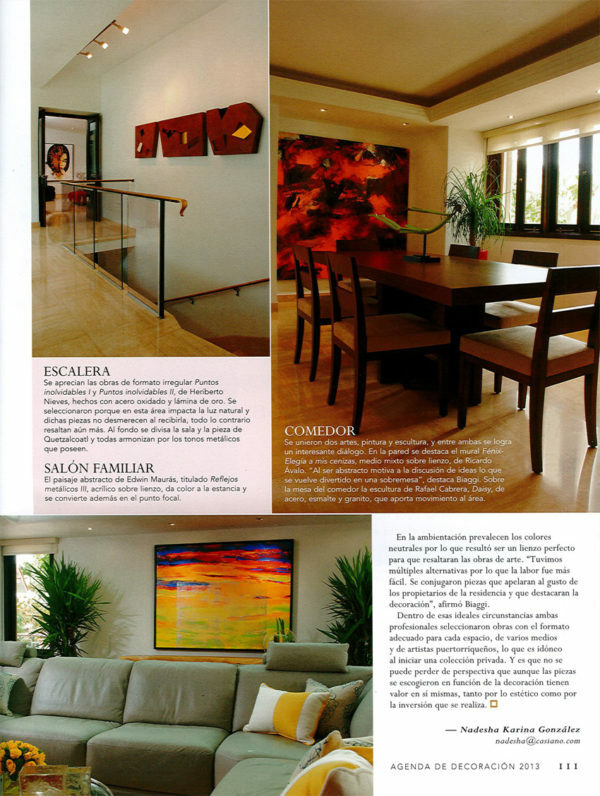 Biaggi & Faure Fine Art is a locally owned company that promotes the magic, energy and cultural richness of Puerto Rican modern and contemporary fine art. 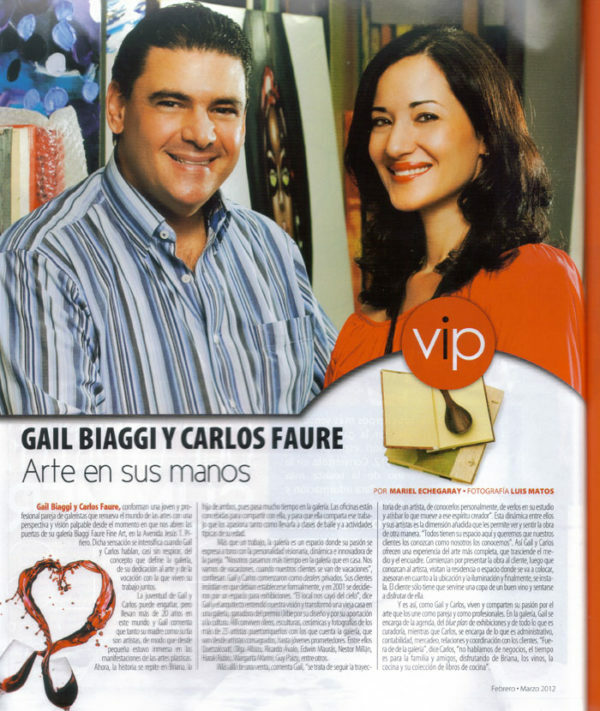 Founded in 1989 by our co-directors Gail Biaggi and Carlos Faure, Biaggi & Faure Fine Art has built a solid reputation of integrity and honesty driven by one-on-one consulting and outstanding customer service. For the past 28 years, Gail and Carlos have had the privilege and joy of living surrounded by art and of gaining profound knowledge and understanding of one of life’s most important vehicles of human expression. 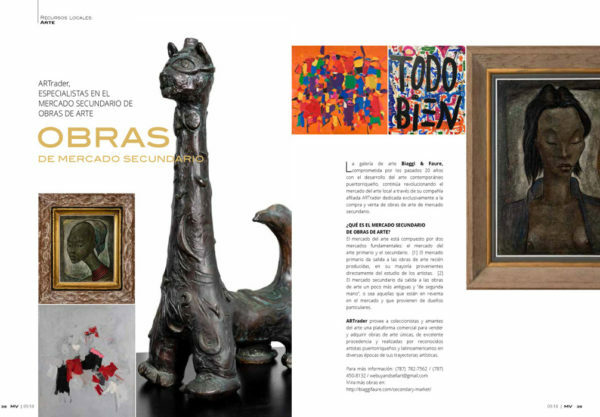 Our work has been strictly guided by our deep passion and commitment for art collecting. 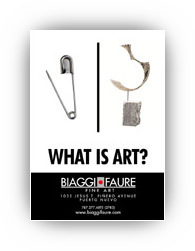 At Biaggi & Faure Fine Art we take pride in the exclusive representation of a select group of renowned masters of different generations, as well as rising young artists of unquestionable talent. 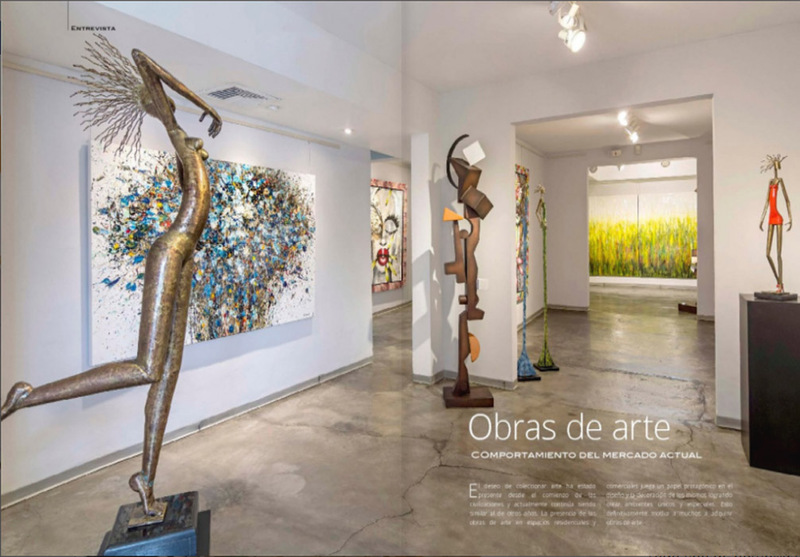 Our Gallery distinguishes itself for offering art lovers a unique portfolio by brilliant local artists, combined with the personalized and exceptional attention that is devoted to private and corporate clients. 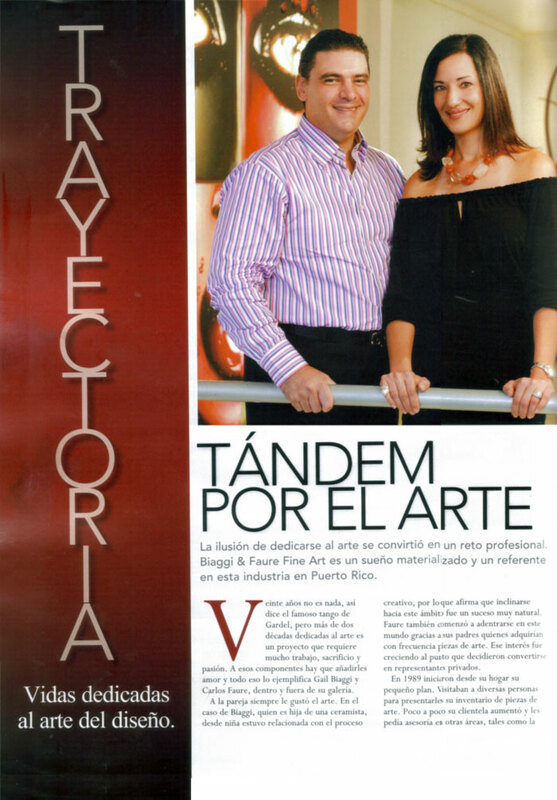 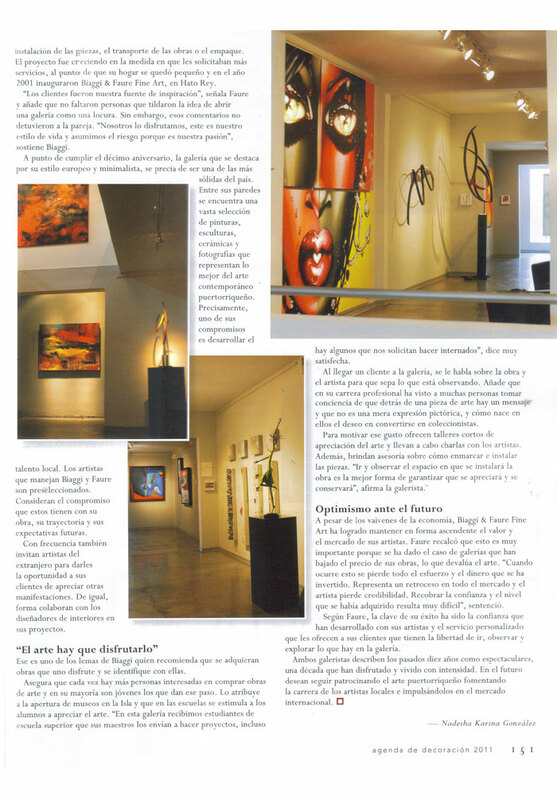 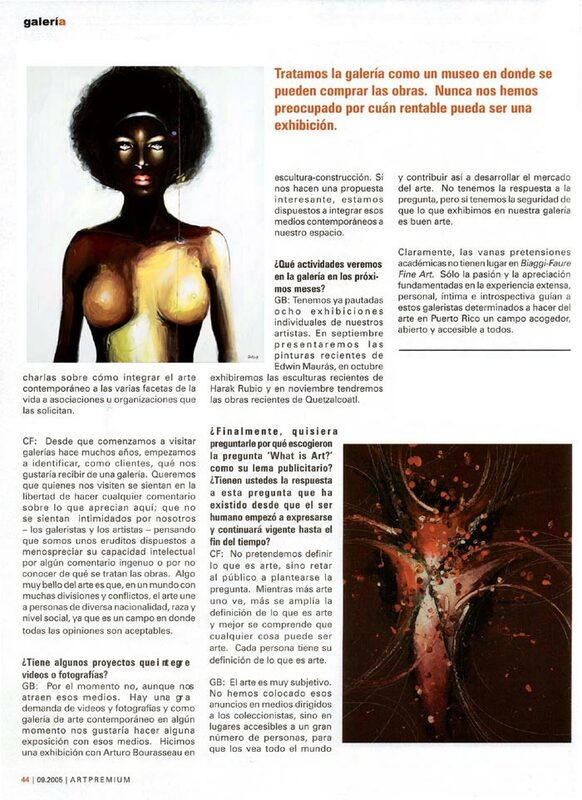 Biaggi and Faure Fine Art has been recognized numerous times as one of the most dynamic companies in Puerto Rico for the outstanding quality of our exhibitions and for the leading role and valuable contribution we have in the development of the local art industry. 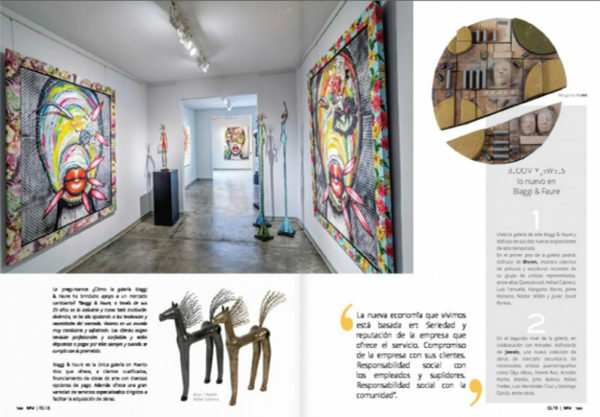 Our Gallery is set in a custom designed and state-of-the-art 4,000 square-foot location in one of San Juan’s most important commercial avenues. 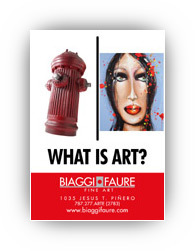 For added convenience Biaggi & Faure Fine Art has a nineteen-space parking facility for the exclusive use of customers and visitors. 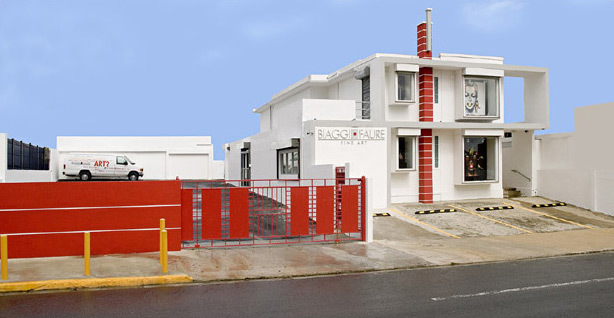 Visit us at 1035 Jesús T. Piñero Avenue, San Juan, Puerto Rico. 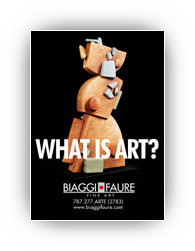 Biaggi & Faure Fine Art is open to the public Monday to Friday from 11:00am to 5:00pm and Saturday from 11:00am to 4:00pm. 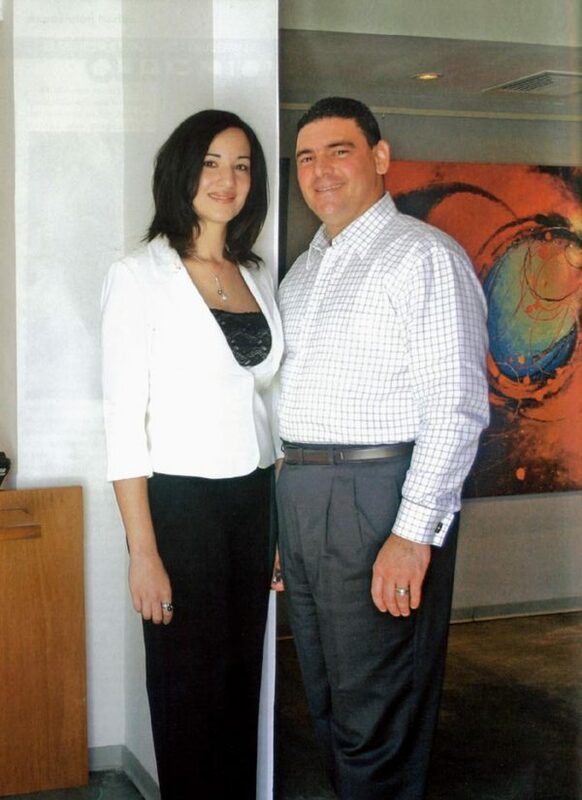 You can drop by anytime during our regular business hours or make an appointment for a private consult at your convenience during or after hours. 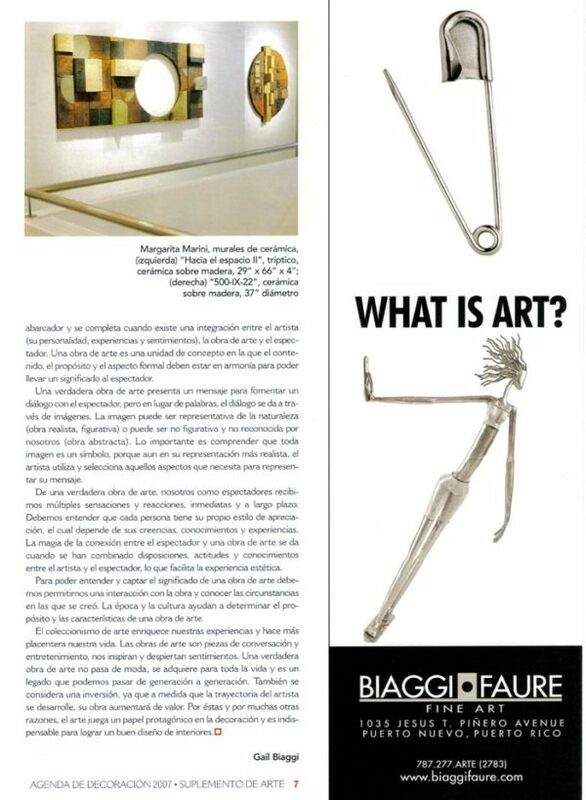 Call us at 787.277.ARTE (2783) for more information on how you can discover the magical world of art at Biaggi & Faure Fine Art. 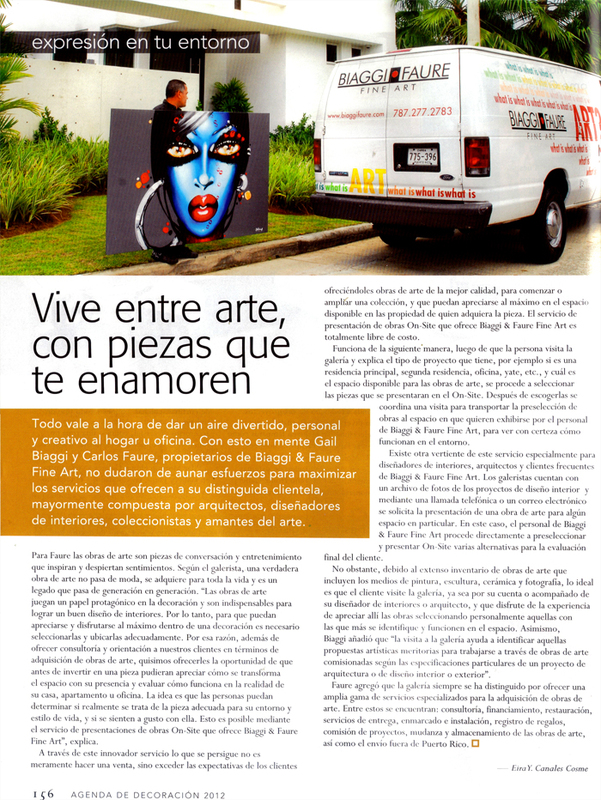 Biaggi & Faure Fine Art is the first and only art gallery that includes outdoor advertising in its marketing plan. 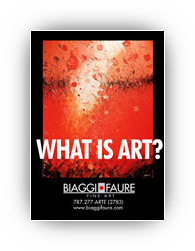 Its “WHAT IS ART” campaign includes advertising in bus stops across the island’s metropolitan area. 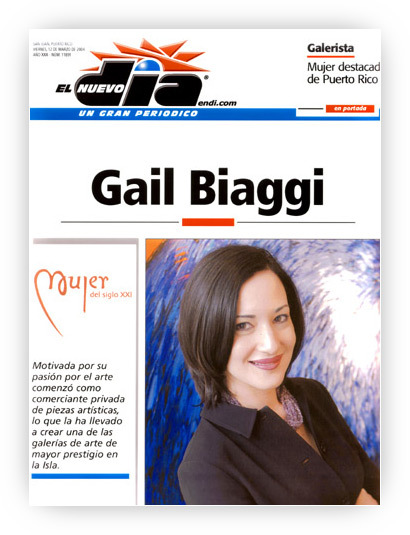 Gail Biaggi was selected in 2004 by El Nuevo Día for the Century XXI Outstanding Women Award. 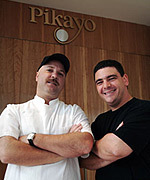 Pikayo Restaurant and Biaggi & Faure Fine Art cosigned in 2003 a collaboration agreement in which Biaggi & Faure will be the exclusive art supplier of this prestigious restaurant. 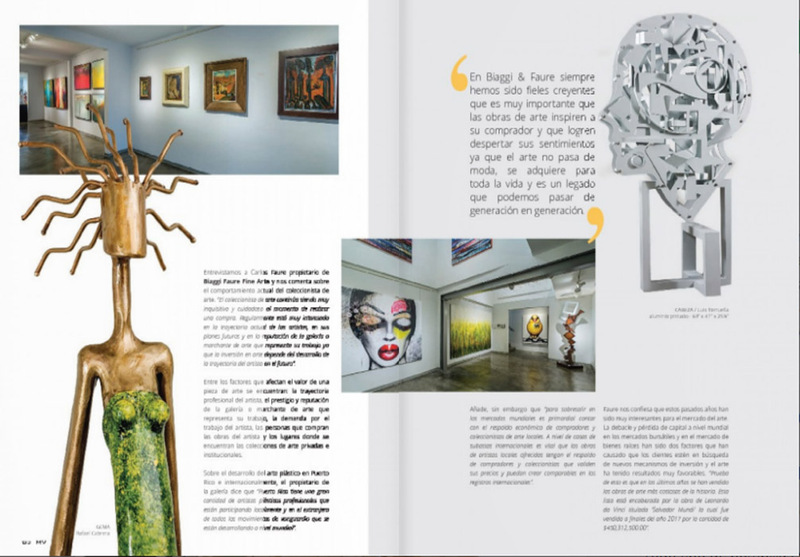 Pikayo’s exclusive clientele will be able to enjoy rotating exhibitions by Biaggi & Faure’s represented artists along with the creative cuisine of chef Wilo Benet. 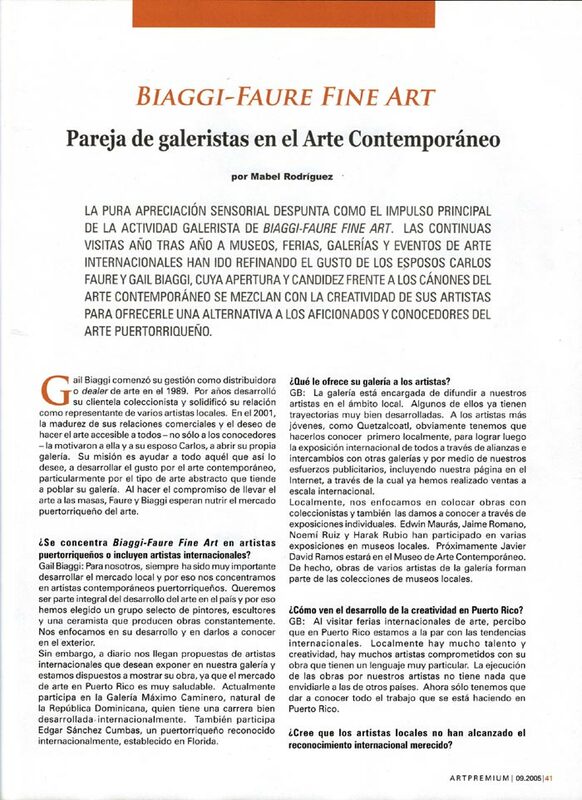 Biaggi & Faure Fine Art won the Academia de Artes, Historia y Arqueología de Puerto Rico 2002 URBE Award for the architectural excellence of the gallery’s building. This award was conferred to the gallery and to architect Jay Vigoreaux for their commitment to good architecture and to habitable urban surroundings. 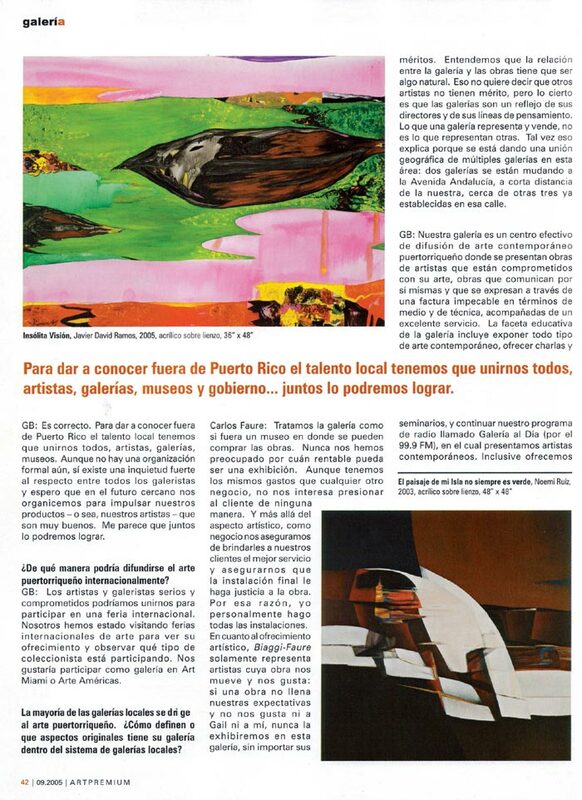 The URBE Awards were created by Panamanian architect Efraín Pérez Chanis, founder of the 1960’s URBE publication. The URBE Awards acknowledge work by architects, urban planners, and citizens who contribute in different environments to the creation of more habitable urban surroundings. 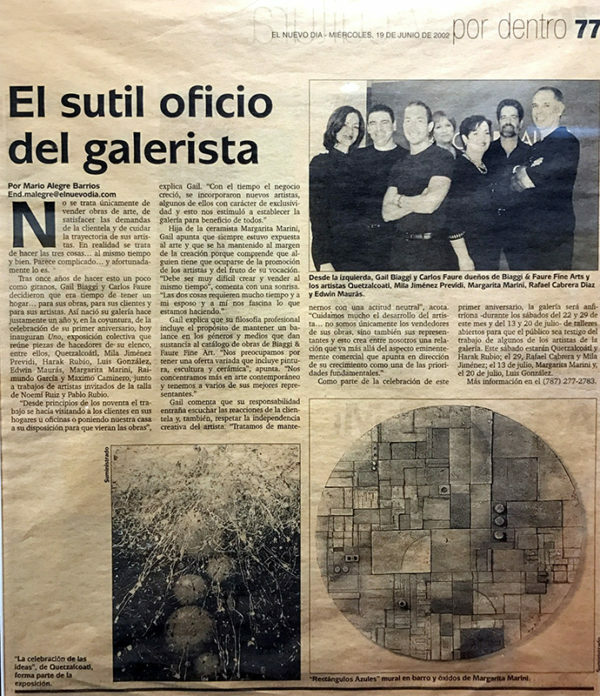 Pérez Chanis was a distinguished architect, urban planner, educator and researcher. 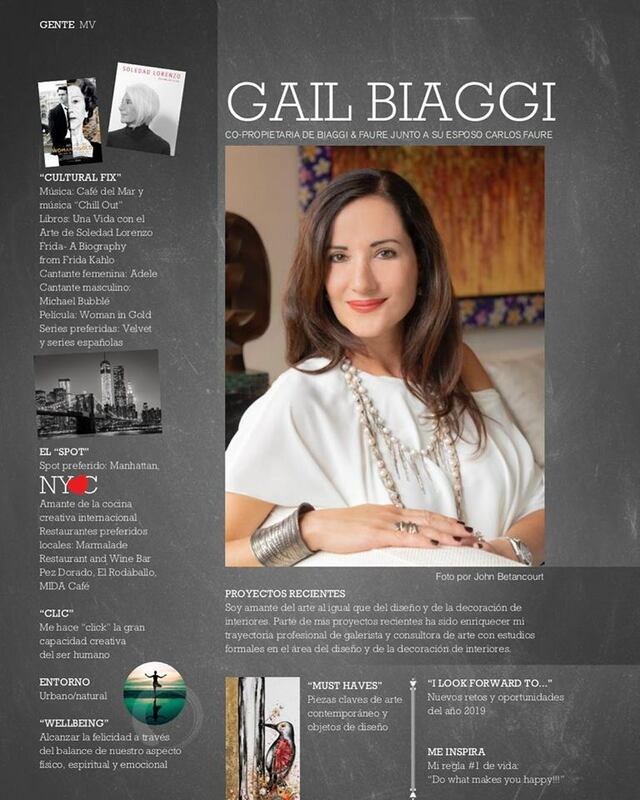 Gail Biaggi was selected by Caribbean Business as one of the 40 entrepreneurs under the age of 40. 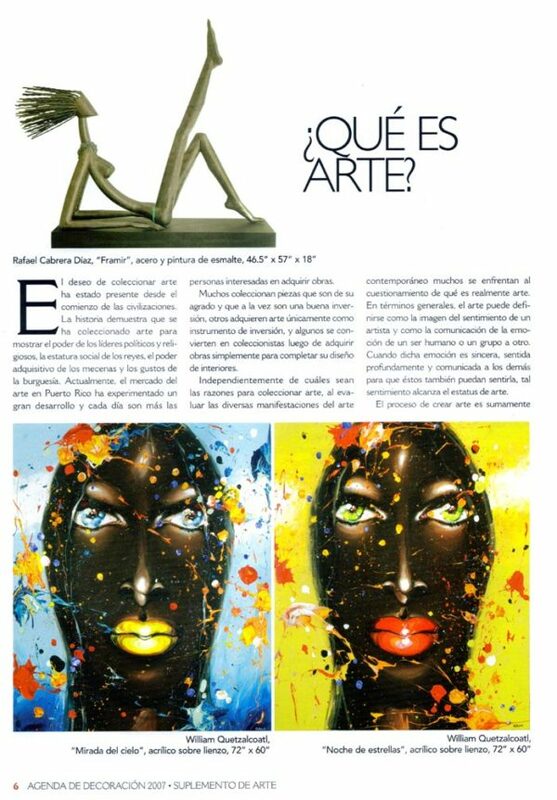 The selected people are men and women that are near the top or at the top of their chosen fields and they have no intention of slowing down. 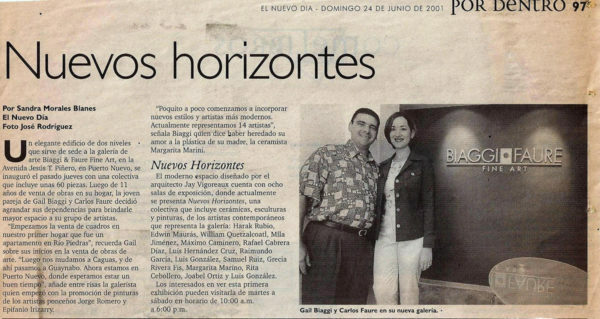 These are people who will lead Puerto Rico’s world of business for years to come. 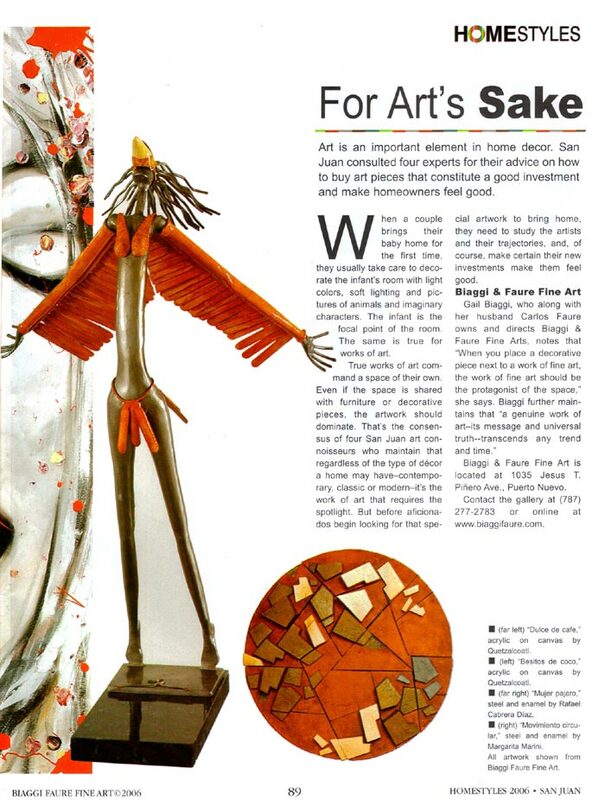 Biaggi & Faure Fine Art has been listed in 2000 as a member in the National Register Who’s Who in Executives and Professionals.